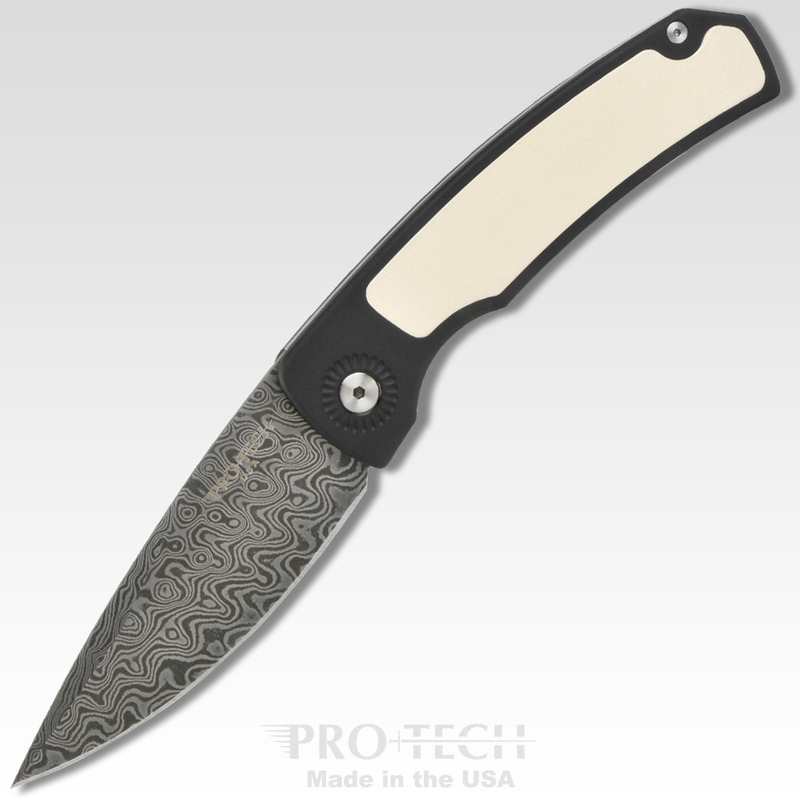 A Mike “Whiskers” Allen design automatic folder WITH NO BUTTON! 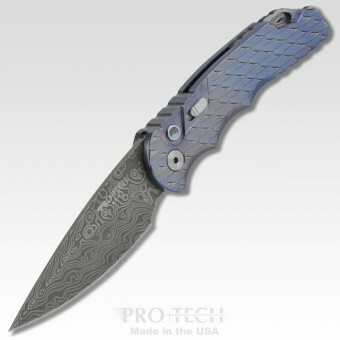 After years of retirement of the Original Magic scale release we modified the design and re-introduced this great model for 2018. 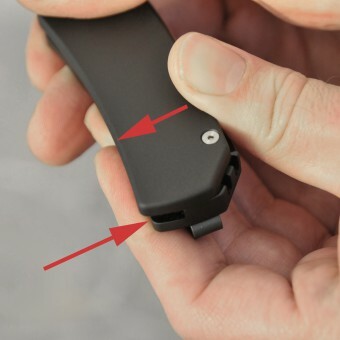 The auto mechanism on the Magic 2 is so covert that most people who are handed the knife without opening instructions can not figure it out. 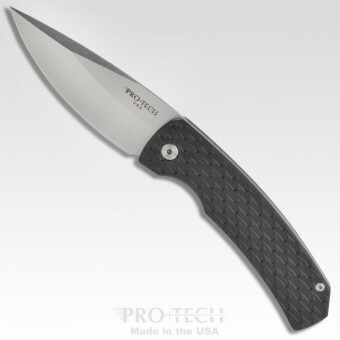 Safe, discreet and highly reliable. 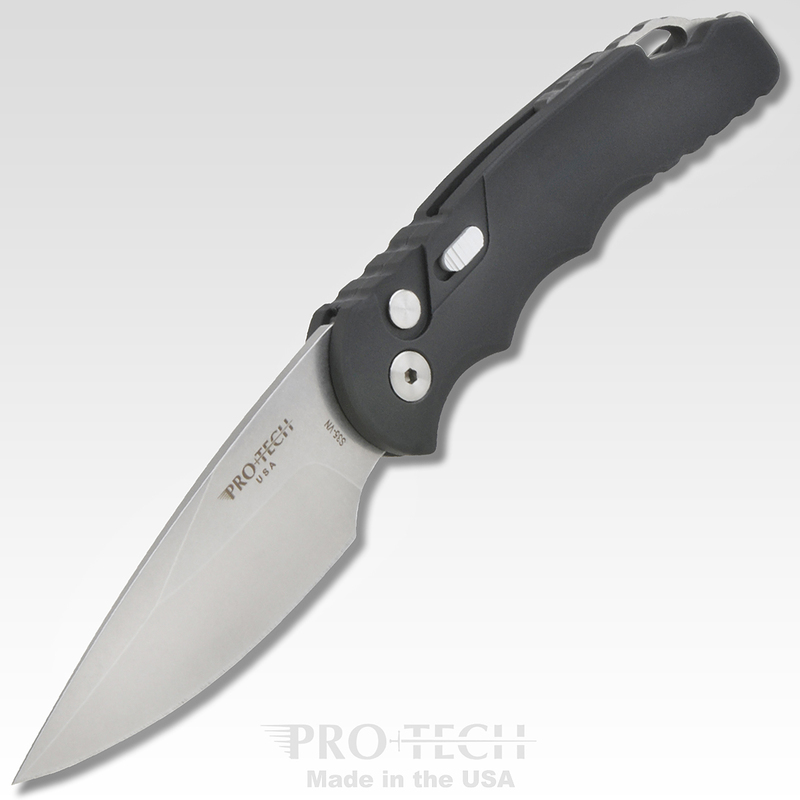 Featuring a Great deep bellied 3.75” Blade, covert scale release opening and a deep carry clip the MAGIC-2 is a fantastic addition to the Pro-Tech lineup. 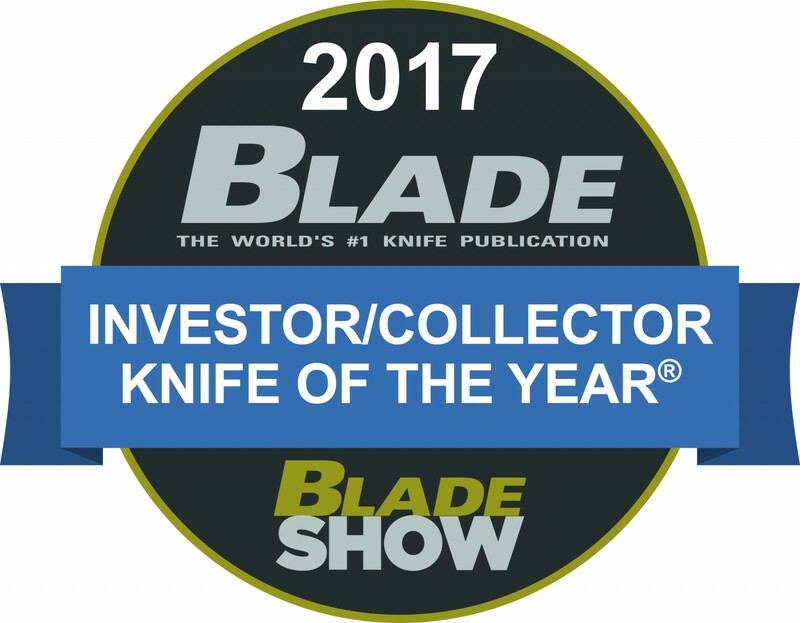 Our first button lock flipper and 6th Blade Magazine Investor/Collector Knife of the Year Award! 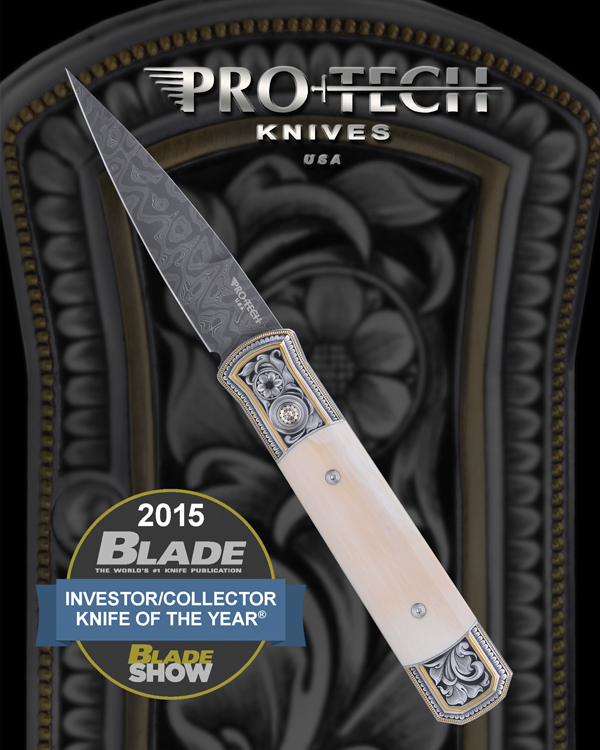 An amazing product introduction for us at the Blade Show – releasing an amazing range of this new flipper folder from solid black models $230 retail all the way to the Investor/Collector grade award winning $8,000 model! 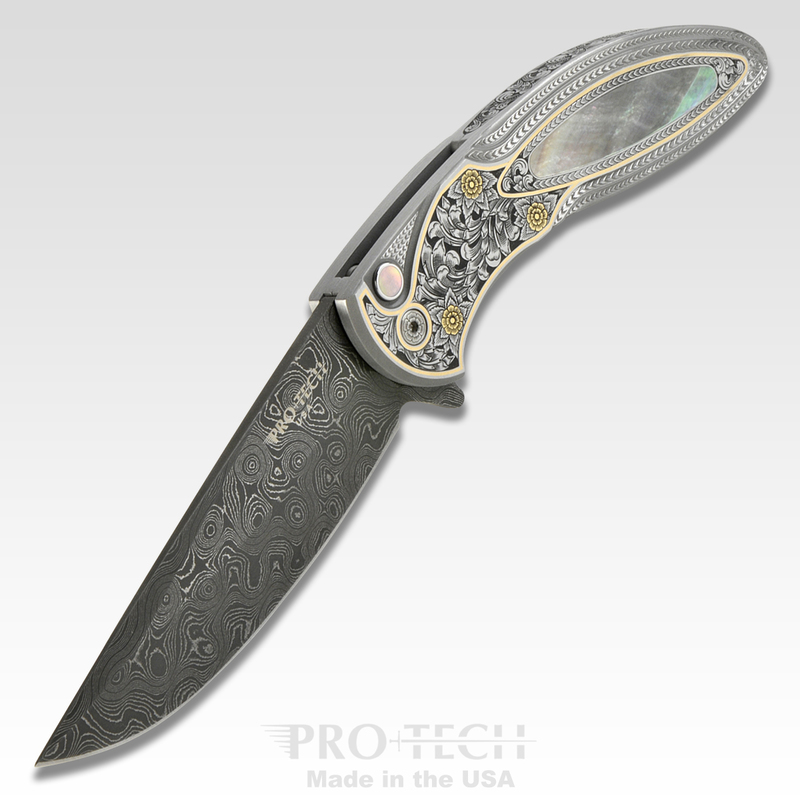 This award-winning masterpiece features solid 416 stainless steel frame, an enormous amount of hand engraving and 18k gold inlay work by Master Engraver Bruce Shaw, black clip pearl, Nichols stainless Damascus and is limited to a 10 piece serial numbered group. 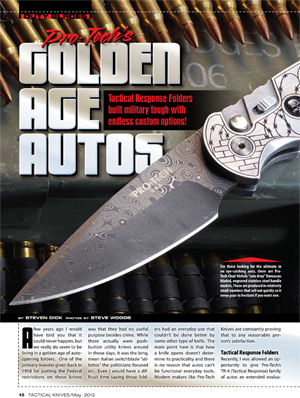 Tactical Response Folders built military tough with endless custom options! 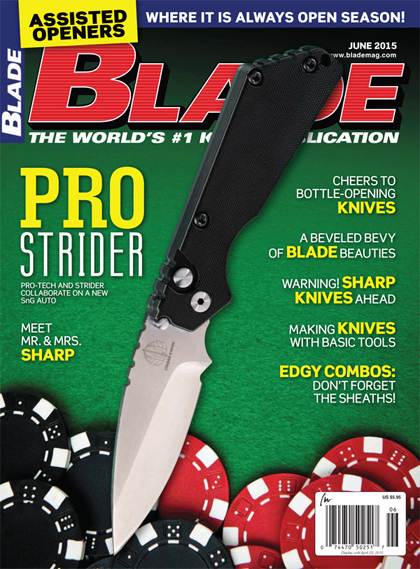 Click here to download the Tactical Knives TR-4 Article.